A frozen account will last for three months. Once it's no longer frozen you will get an email from the system and you have a grace period of two weeks before your billing cycle will start again. 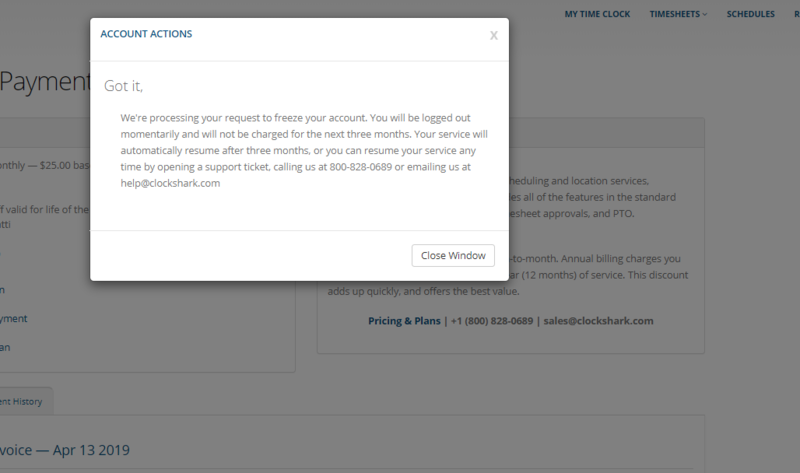 If there's anything we can do to help with your account, feel free to contact us anytime via the website chat support, by emailing us at help@clockshark.com or by calling 800-828-0689.